Andrew Ganz March 6, 2018 Comment Now! 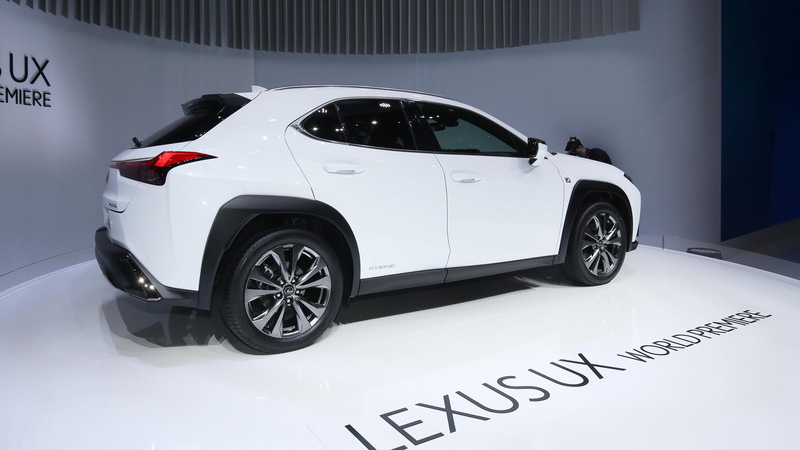 Don't look for the 2019 Lexus UX that debuted Tuesday at the 2018 Geneva International Motor Show to be the final prong in the brand's crossover resurgence. The brand that invented the car-based luxury crossover is aiming for entry-level luxury buyers with its 2019 UX, which is nearly a foot and a half shorter than its popular RX crossover. It's due to reach showrooms in December. 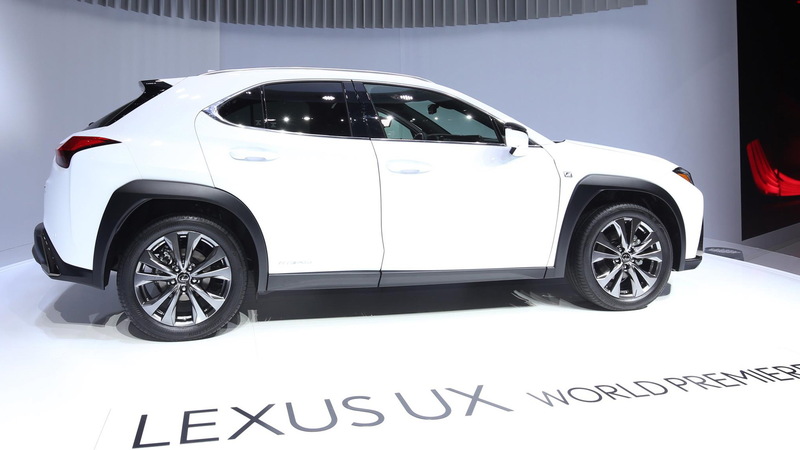 Lexus downsized its signature spindle grille for the UX, but only slightly. Its most distinctive design cues are unquestionably the tiny fins that jut out of its taillights. They're not enough to make a '57 Chevy green with envy, but they're a lot more aerodynamic. Inside, Lexus designers tried to make the dashboard look as though it's a single panel in line with the hood. 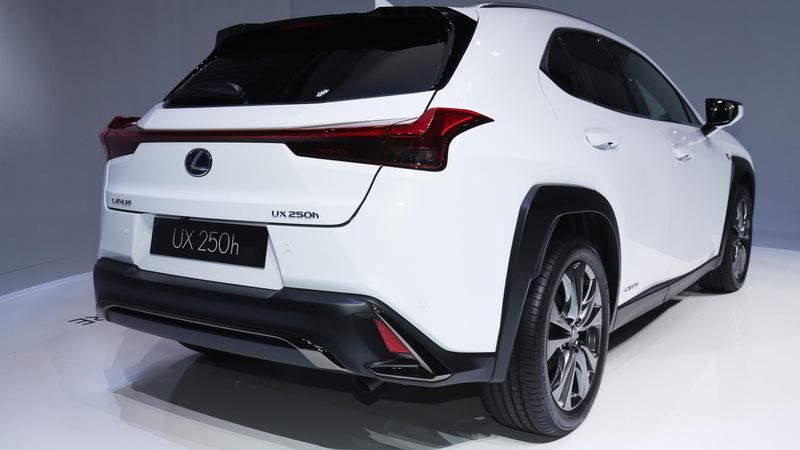 For now, Lexus is remaining mum on details like infotainment system software. 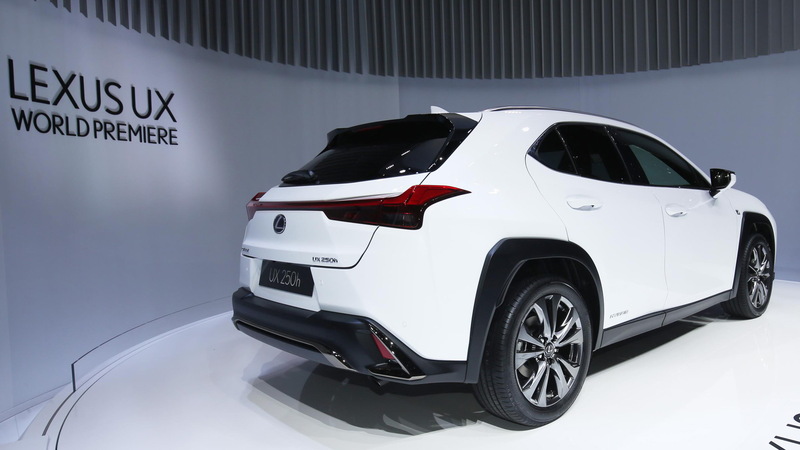 The Lexus UX shares its underpinnings with the Toyota C-HR, but it's more powerful and will be available with a hybrid-electric powertrain. Even though it stretches just 177 inches from bumper-to-bumper, the UX is on the large size for its class. The BMW X1 is about two inches shorter and the Mercedes-Benz GLA-Class is three inches shorter. Despite its larger footprint, the UX isn't more powerful than those German rivals. The UX 200 derives 168 horsepower from its 2.0-liter inline-4 sent to the front wheels via a continuously variable transmission (CVT). All-wheel drive is fitted to the UX 250h hybrid, which features a gas 4-cylinder and an electric motor fed by a nickel metal-hydride battery to put out a combined a 176-hp. The UX 250h's all-wheel drive is made possible by a second electric motor on the rear axle that can send 80 percent of power rearward in low-grip situations at speeds up to 43 mph. Although its name is a handful, the UX F Sport package optional with both powertrains adds an adaptive suspension, 18-inch alloy wheels, and a unique body kit. 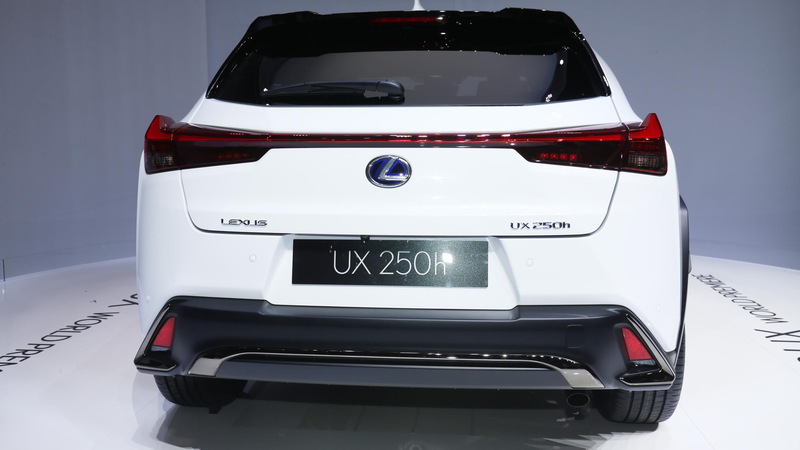 The UX 250h is the first Lexus that predict, based on habitual driving behavior, when the vehicle will slow down for a stop. If the driver routinely approaches an intersection, the UX's hybrid system will learn to increase regenerative braking to both slow the vehicle faster and to charge the nickel metal-hydride battery pack. Lexus hasn't announced pricing, but it's a safe bet that the UX will come in well under the roughly $44,000 Lexus charges for its RX 350. To learn about some of the other vehicles appearing in Geneva, visit our dedicated hub.